Chiropractic is a natural form of health care that focuses on the function of the spine and the nervous system. The nervous system (brain, spinal cord and nerves) controls and coordinates all the functions of the body. The spine protects the spinal cord whilst being flexible enough to allow us to move freely. Any type of stress on the body, whether it is physical, chemical or emotional, can cause the vertebrae (spinal bones) to lock up and lose their free movement. When this happens pressure may be placed on delicate nerves, leading to a decrease in the communication between the brain and the body. Chiropractors call this problem a subluxation. Subluxations affect the function of the body and may be related to the appearance of many different types of symptoms. However subluxations may not always cause specific symptoms, instead they may lower the overall performance of your body. Chiropractors correct these spinal problems by hand, and with varying techniques can help anyone from newborn babies to the elderly improve the performance of their body naturally. The results experienced from chiropractic are different for everyone. Chiropractic has been known to give many different benefits depending on how the subluxations are affecting that individual. With subluxations removed many varying conditions within the body may improve as the nervous system begins to function better. There are many references available at NZ Chiropractic Association if you would like further information. 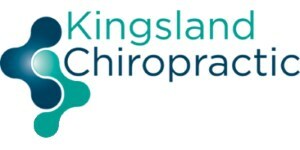 If you are unsure whether chiropractic can help you please call our clinic to make an appointment for a no-obligation, free spine check. We’ll let you know if we think you would benefit from chiropractic care.